Erased Volume 2 contains episodes 7-12 plus the Original Soundtrack 02 (by Yuki Kajiura), original short manga by Kei Sanbe, deluxe booklet. "I'm not gonna quit until I find the true culprit!" Special Features: Audio Commentary by English cast & Alex von David (English Voice Director & Script Writer), #11 & #12 Textless Openings, #12 Textless Ending. 90 bucks for 6 episodes???? $180 "sale price" for 12 episodes? Considering an episode is only about 20-21 mins (without the OP and ED), you're paying about 75c a minute. $180 for just over 4 hours? Aniplex is Sony folks.. and there's no reason for them to gouge people like this. NO other company (including Sony themselves, with their other distribution arms) even come close to this nonsense. Yes, it's a good anime. But no way am I going to spend close to $200 for 12 short episodes, no matter how good it is. Instead I'll be picking up the 2-book collector's manga (entire manga) of Boku Dake, as well as Steins;Gate on bluray, all at reasonable prices. A Satisfying Conclusion to this Thriller and Drama. After the chaotic episodes 5 and 6, this set contains the last six episodes of the show, which are very strong and end this series in a satisfying and high note. This well constructed set is indeed expensive, but the anime content is worth the five stars. Great show/package that keeps its word. The package is really nice and supplied all that was described, so yah... Get it yo. 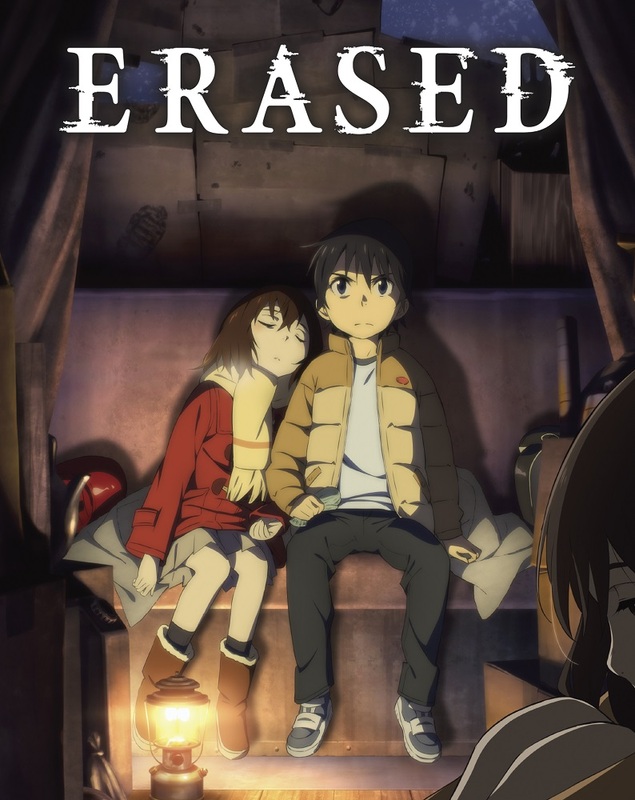 If you have watched erased this would definitely be a good set to get. It has really good packaging, the show itself is great and it comes with the soundtrack. My only complaint is the price. $89.99 for only 6 episodes? Well that's aniplex for you. The 2nd half of IMO one of the best titles of 2016. Is it pricey.. yep At this point we are all aware of Aniplex pricing schema's.. I am not happy with it either, but I am not gonna knock this series for it. 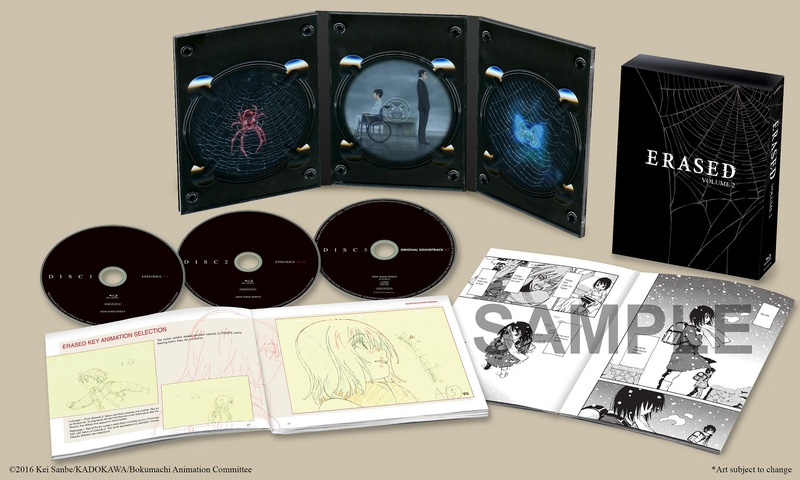 Yes, this is an expensive box set but, that being said we all know aniplex is a pricey to begin with. The quality of this box set is fantastic. It comes with a preview of the manga and a further information character guide/ summary, along with a original soundtrack cd and the last 6 episodes on two blue ray disks. The art work on the box and books and blue ray holder is easily missed since it is black on black. But the subtlety of it is also very impressive and lends feeling to the story. If you like this anime you will not be disappointed in this box set. The story is fantastic, and I really like the packaging but, as always, Aniplex prices are super high in comparison to other anime companies. I can't fault the product itself for that though, it is just what you can expect from Aniplex, so five stars. I finished this anime and I loved it till the very end. Some parts I knew who the villain was but it didn't stop me from enjoying this anime and I hope more animes like this comes out in the future. Everything that we've been waiting to find the resolution to is found in this volume, and there are plenty of plot twists that make watching the show from start to finish more than worth it. The show is a rare gem, worth watching. The issue most have is Aniplex's pricing. Given Sentai and Funimation have found small success in releasing a full series with a premium and a cheaper option, Aniplex approaches its shows differently. Do you want a cheap release? Sorry, you get the streaming version. If you are willing to pay for it, you best be willing to pay dearly for it, as Aniplex WILL charge you top dollar. In some cases, like this, the show warrants a gold star, top quality release. The soundtrack by Yuki Kajiura is definitely part of the expense, and it's well done. I'm just not sure how many people WANT a soundtrack the same way I want it, and am happy it was included. Second half of the show is not as good as the first. Feels a bit rushed at 12 episodes. Box is beautiful and artbooks are great, but still not worth this price for just 6 episodes. Solid Aniplex Release For An Even Better Show! as expected from any Aniplex release! with some moments filled with joy and others with sorrow!